Varazdin (Croatia) has produced some of Europe’s finest classical performances in Baroque music tradition. As host to the famous 'Barokne Veceri' festival, which attracts the best classical artists from around the world. 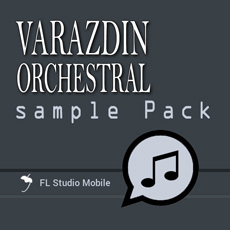 Image-Line now offers the exclusive Varazdin Orchestral sample library, in which classical musicians have been recorded performing a range of variations and styles for each instrument. Uniquely adapted for FL Studio Mobile, this expansion features 91 instruments in string, brass and wind sections, sampled in different articulations such as staccato and vibrato.